Off the beaten path on Cape Cod means putting in a little effort to experience the best of what the Cape has to offer. The reward? It is exponentially larger than the effort put in to achieve it. Follow us as we visit some of the best places on Earth. If you are interested in living like a local during your travels, you have found the right spot. The Concierge at the Platinum Pebble Boutique Inn is a long-term tourist exploring all the best the Cape has to offer. That research and exploration are here, available for those that seek an unforgettable bucket list vacation. 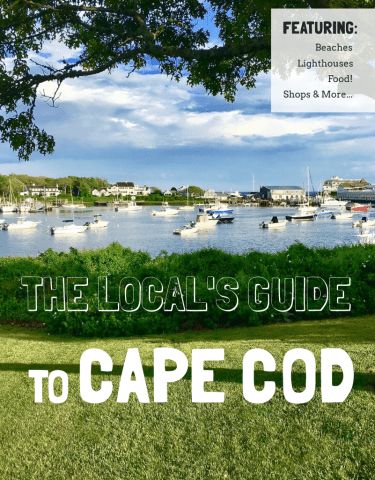 If you are interested in learning more great things the Cape has to offer, be sure to enter your email address below for a free, downloadable copy of the Local’s Guide to Cape Cod. Drive out with an Off Road Vehicle permit, kayak across Barnstable Harbor, or walk ( a long way! )…Sandy Neck on the Cape Cod Bay has it all. The time of year will always dictate the degree of isolation you can experience but, know that even in peak season you can always find your own special place. 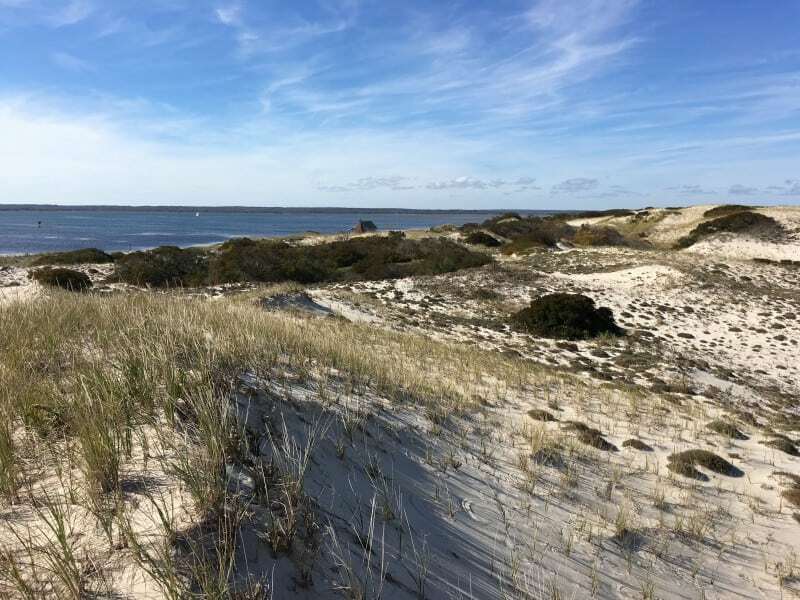 Expect almost a ghost town feel at the Sandy Neck Colony (beach cottages and the Sandy Neck Lighthouse) in off season and miles of uninterrupted sand dunes peppered with pines and wild cranberry bogs. Various dune shacks can be found as you discover more of what makes this a very special place. 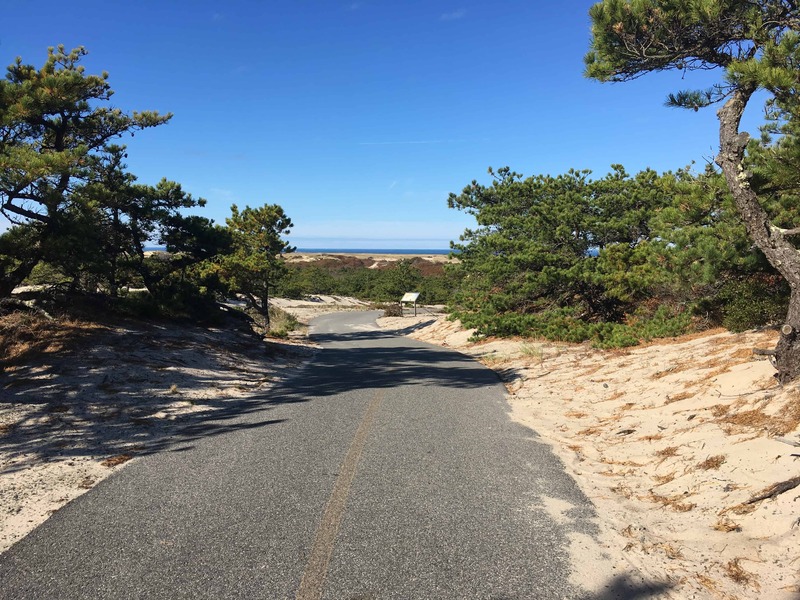 Experience the best of the Sandy Neck Colony in the slower months outside peak season of July and August and you will find a quiet solitude not expected in a bustling place like Cape Cod. Actually, most of the Off the Beaten Path adventures listed here can take you away from the crowds, even during peak season. There is always somewhere to claim as your own on Cape Cod and get away from it all. That’s what Off the Beaten Path adventures are really all about, aren’t they? Escaping the crowds and seeing what most never will because they are not willing to put in the effort. Well, good for you! You’re here and that’s a great start. We want to be your guide. Read on for more incredible experiences and the best locations on Cape Cod. 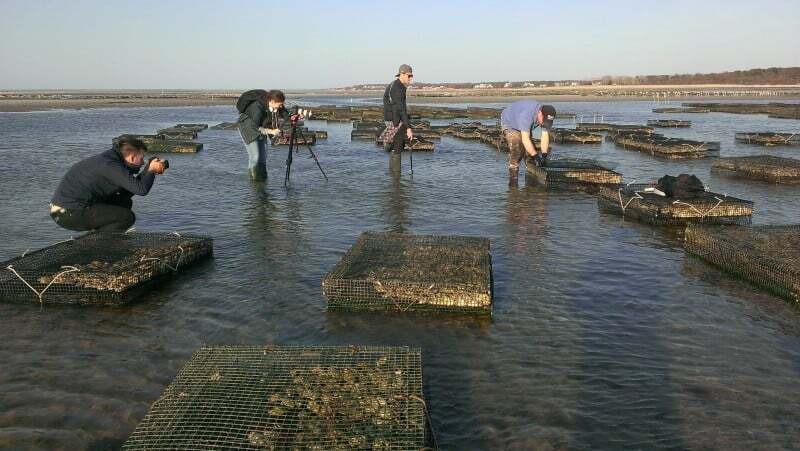 The Oyster Farms are right off the coast on the Bay (the North side of the Cape) and are a spectacular site to see. Thousands of oysters line hundreds of baskets that are visible at low tide. 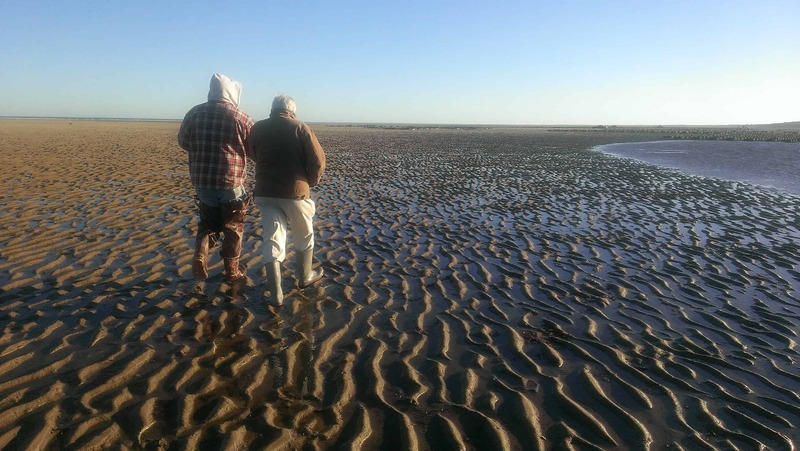 As the tide recedes, walk among the oyster farmer’s plots and see what fresh is all about. 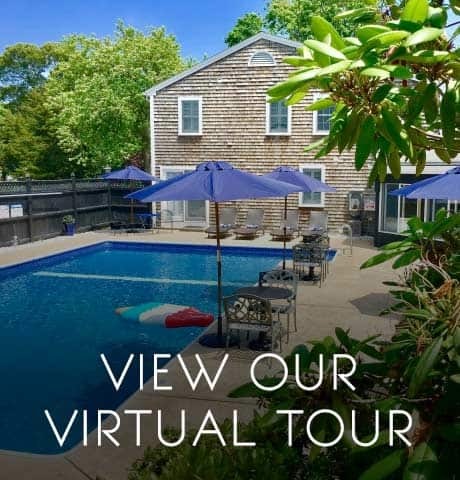 This is one of the more popular self guided tours offered at the Platinum Pebble Boutique Inn to guests interested in living like a local on Cape Cod. There is nothing like walking out on the Brewster flats during low tide, plus the unreal site of all those oyster baskets! 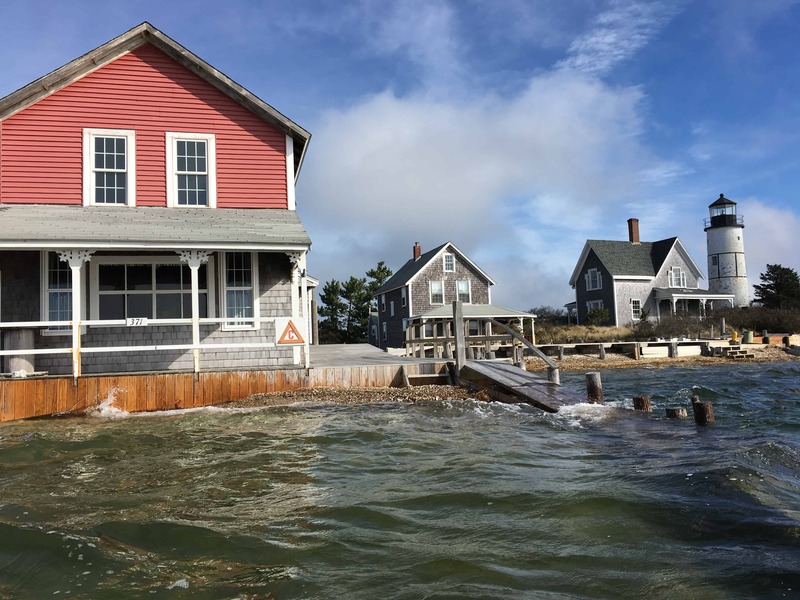 The Brewster flats are an area of Cape Cod located on the Bay side where the tide recedes quite a way at low tide. People are able to walk out almost a quarter mile in places and see the cool things left behind by the receding water. The sand ripples make for great photography and all the little creatures are fun to spot. Add in the site of the Oyster Farms and you have some unforgettable imagery! 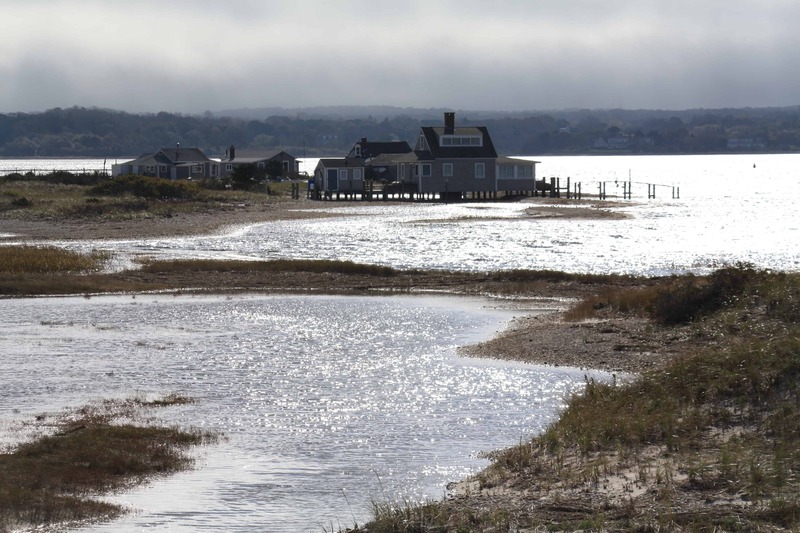 The Great Island in Wellfleet is actually a peninsula that dips into Wellfleet Harbor. Easy access, free parking, and some of the best views on Cape Cod make this an off the beaten path paradise. It takes a little effort to explore the 7-8 miles of hiking trails and beaches so, expect to have the place nearly to yourself. The Great Island Trail is one of those places that helps you feel more connected with the natural order around you. You. Are. Out. There. and it’s all nature. Prepare yourself with provisions that you can pick up at the Wellfleet Market (local grocery store with a deli) or PB Boulangerie, a french bistro with great to go sandwiches. The author has had some incredible finds on the Great Island: a hidden bunker, the bare bones of a shipwreck found at the lowest tide, a piece of a whale spine, and a few “secret spots” that are go to for seclusion and peace. It doesn’t take much to enjoy the Great Island, plan a few hours the next time you are on Cape Cod and see what you find. You will not be disappointed. Google “Dune Shacks Trail” and find easy parking on the side of Route 6 on the way to Provincetown. Park and hike about a mile and a half through huge shifting dunes and walk up to history itself. 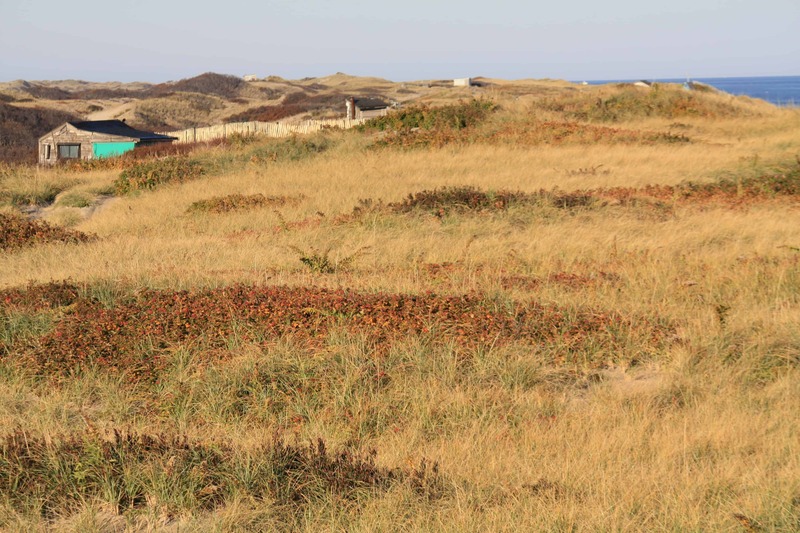 The dune shacks are built inside the protected Cape Cod National Seashore from the wreckage of ships that didn’t make it past the Cape’s slippery sand bars. 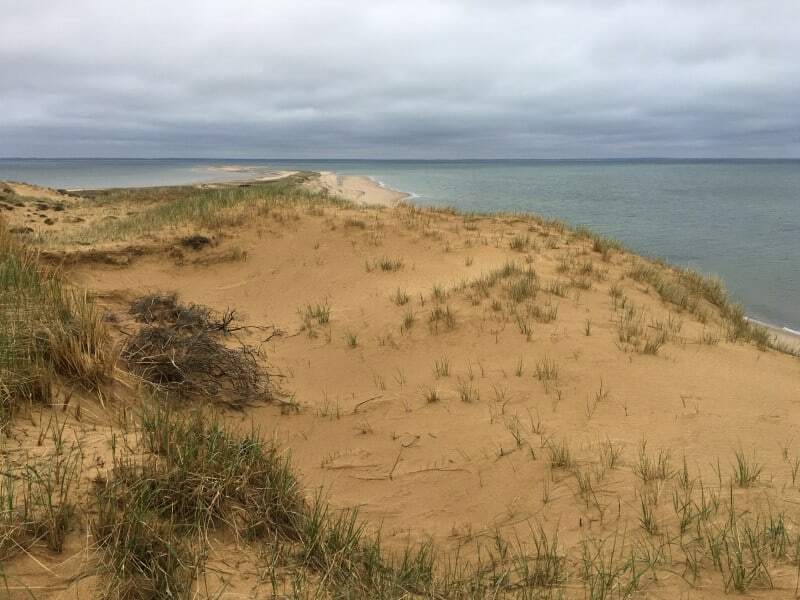 Stand on the dunes looking out to sea and envision the hundreds of shipwrecks that line the coast. There’s a lot of history out there (including a Pirate’s Treasure!) and you are almost on the easternmost edge of the United States (only Maine is further East) looking at it. The more you explore, the more you will find! The dune shacks dot the coast as you move either North or South. Be respectful of privacy if they have occupants but, most do not and they make for some spectacular shots if you are into photography. It is primitive out here. The shacks have no electricity or running water and all food and supplies are brought in by hand. Some of the shacks are in a lottery so, if you are interested in staying in one follow this link for details. Expect nearly endless beaches, incredible sights to discover, and magnificent views on this off the beaten path back in time. You won’t find many opportunities to ride comfortably through the sand dunes like this. A unique experience, that should be enjoyed with caution, is the Provincelands Bike Trail. 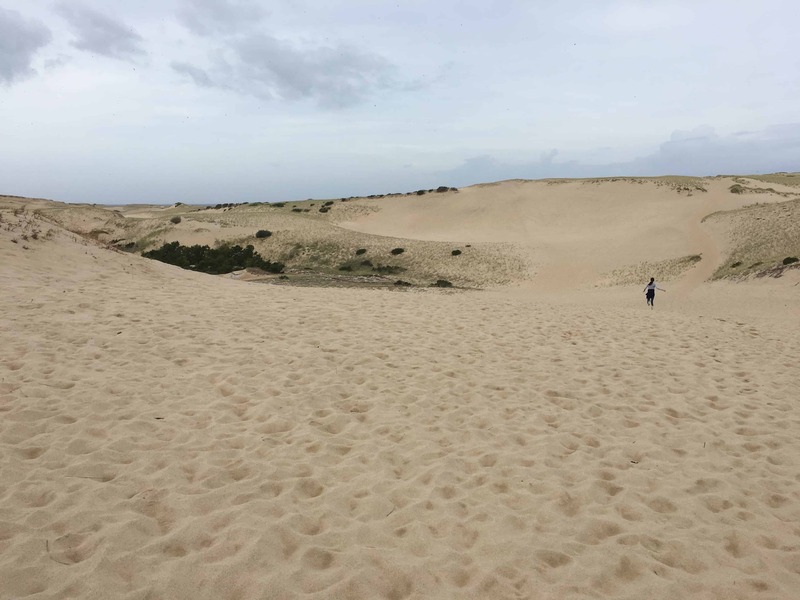 Pedal your way through the various ecosystems that make up one of the biggest areas of undeveloped dunes on the East Coast. There are some great hills that can be dangerous if you catch a bad sand drift over the trail so, always ride with caution and with a helmet. This is a bike adventure that is truly unforgettable. Like a roller coaster through the dunes, the Provincelands Bike Trail will make you feel like a kid again as you fly from hilltop to hilltop. The views are incredible, stretching all the way to the coast at times, and will leave you with a lasting impression. This is a fun day. Take the trail all the way to Race Point beach if you want, just watch the sand in your pants riding back to the car! Keep in mind, there is no food service out here so be sure to bring provisions with you. You can always stock up in Provincetown before hitting the trail. 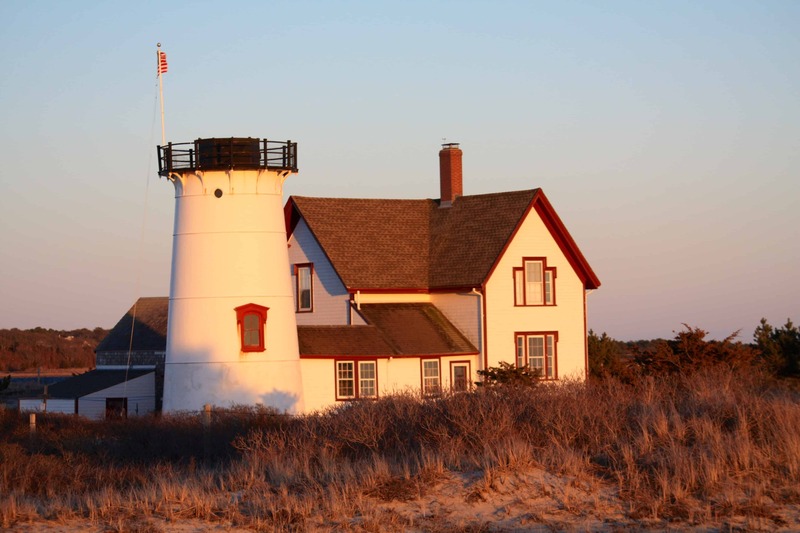 Most travelers are unaware that there are actually two lighthouses in Chatham. The easy one is the Chatham Lighthouse and the truly remarkable Lighthouse Beach. The other, off the beaten path lighthouse is the Stage Harbor Lighthouse, south of town looking out over the Monomoy Peninsula. You can hike an easy 20 minutes to find this rarely visited lighthouse. It is not strenuous, traversing over varied loose and hard pack sand. The payoff? Big views over the Nantucket Sound and into Chatham’s Stage Harbor. As always, putting in a little effort takes the traveler past the easily accessible touristy areas and to the authentic parts of Cape Cod. 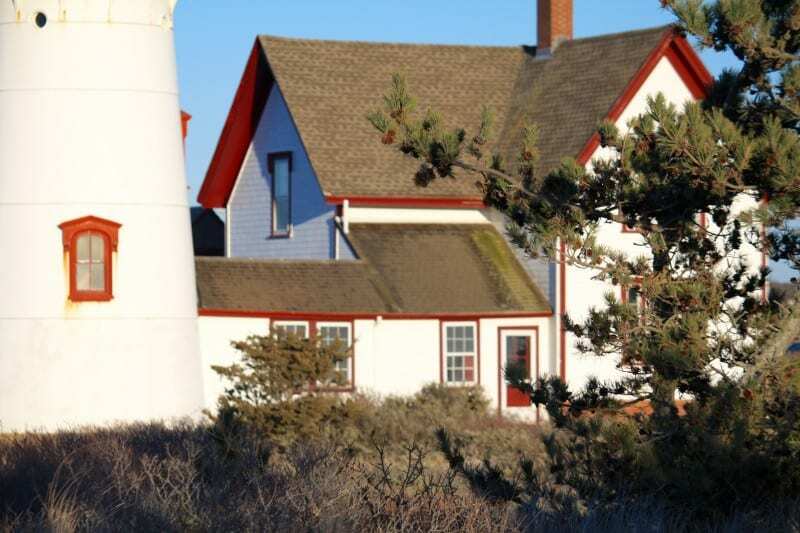 This is one of few private lighthouses so be mindful of privacy concerns and stay outside the clear boundary. It is rarely occupied and the boundary is a simple wire so, if you are shooting Cape Cod photography, do not worry. Bike or walk the trails of Nickerson State Park in Brewster and take an early peek at Heaven. 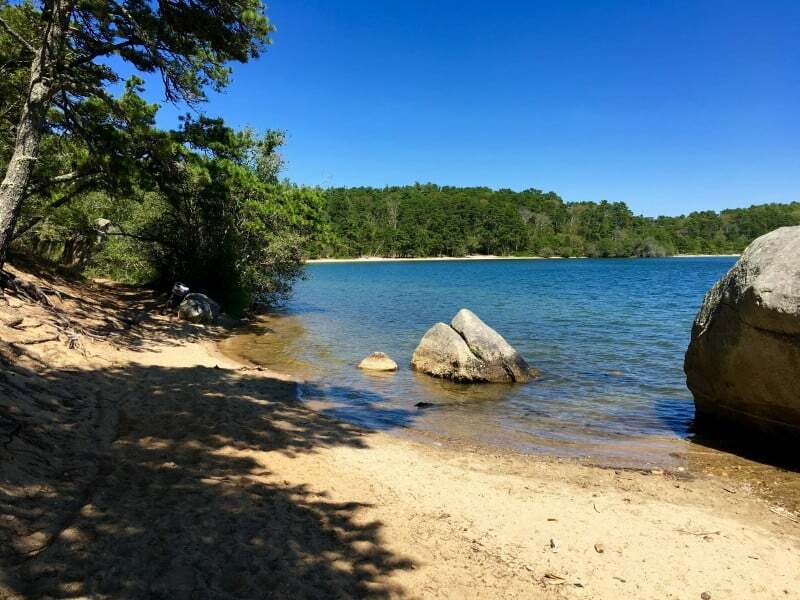 Even in peak season there is always a “private” beach or your own secret spot to discover as you explore the shorelines of the park’s best swimming holes. Enjoy finding nirvana on one of Cape Cod’s best off the beaten path experiences. Cliff Pond inside of Nickerson State Park is a clear favorite with sandy shores and crazy clear water. You can swim in complete serenity knowing there are no poisonous snakes, sharks, alligators, or crazy things here looking to eat you. 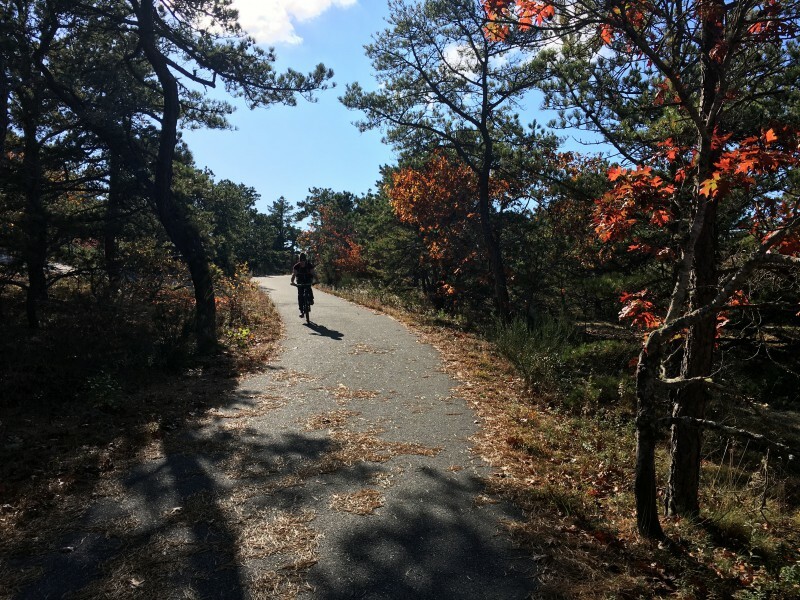 Cliff pond is a 10 mile ride on the Cape Cod Rail Trail from the Platinum Pebble Boutique Inn. All along the way you will find foodie stops, views, swimming holes, and beaches. Borrow the Inn’s bikes and make a great day, unforgettable. See Cape Cod how it is supposed to be seen, from the back waterways on a guided kayaking excursion! Explore some of the best parts of the Cape from a unique perspective. Our Concierge has teamed up with a local guide who knows and loves the Cape like only a local can. Aware of tides and flow, the Guide makes this trip less about the paddling and more about enjoying the sights and sounds. 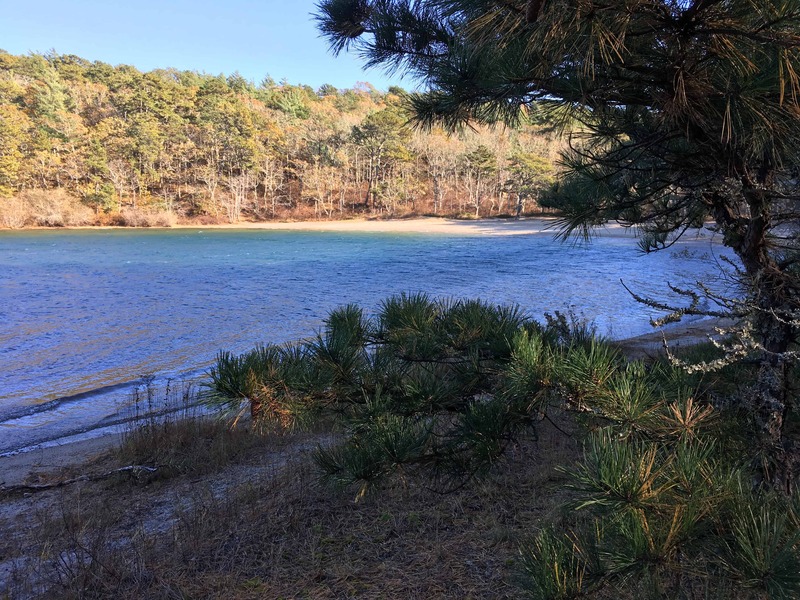 Enjoy paddling through Bell’s Neck Conservation Lands via the Herring River in Harwich, Monomoy National Wildlife Refuge, and/or Nauset Marsh in Eastham. 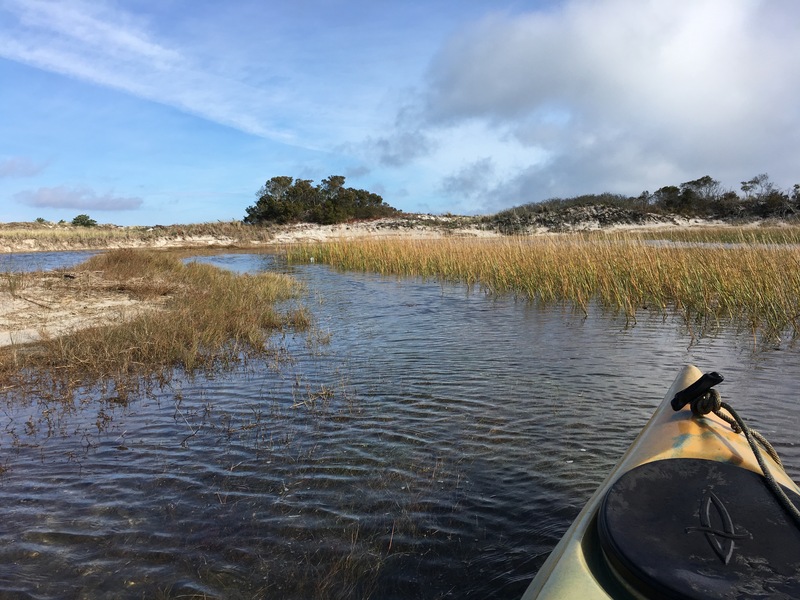 Highlights of this off the beaten path adventure are inspiring views from a sea level view, wildlife (think seals, lots of seals), and a local guide’s immense knowledge of the area and the history that surrounds it. Click for details on some great guided kayaking tours. Or, rent kayaks at one of many places nearby and self-guide through some incredible parts of the lower Cape. Bell’s Neck Conservation Lands is a favorite, as is Bass River. The Concierge at the Platinum Pebble is happy to help with tides for the day and offer guidance to maximize your time kayaking. This is an off the beaten path experience that makes you feel alive! It is exhilarating. There are thousands of seals in the waters off Cape Cod’s Atlantic coast. There are also hundreds of Great White Sharks hunting those same seals. The Platinum Pebble uses a seasoned Cape Cod Captain to help guide guests to these prehistoric beasts. It is not cheap but, a pilot doing flyovers puts the boat right on top of the sharks. No chumming necessary. You can’t possibly forget this off the beaten path experience! 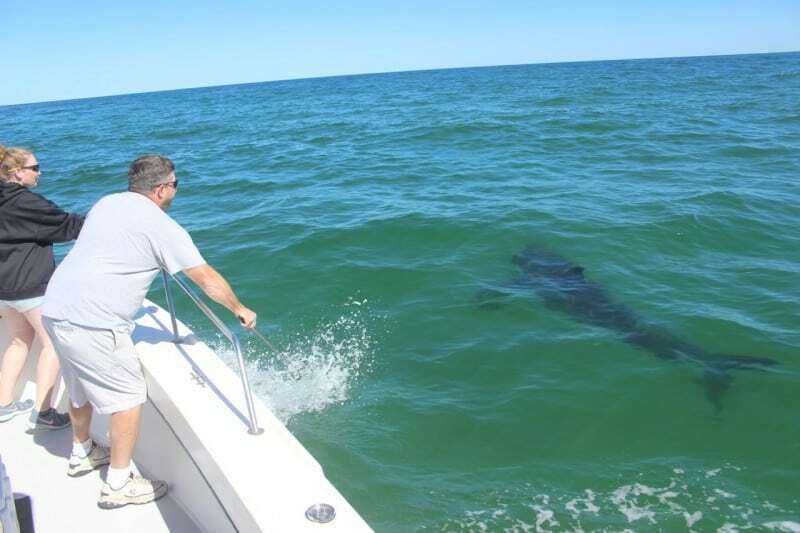 To be sure, just ask our Concierge for your complimentary Go Pro to use while on your next Cape Cod Shark Adventure. Don’t let Cape Cod’s current reputation for shark’s cause dismay, it only opens great opportunities like these! There are places to swim on Cape Cod and there are places you do not want to swim on Cape Cod. Be smart and ask a local, if you see shark signs….don’t swim. 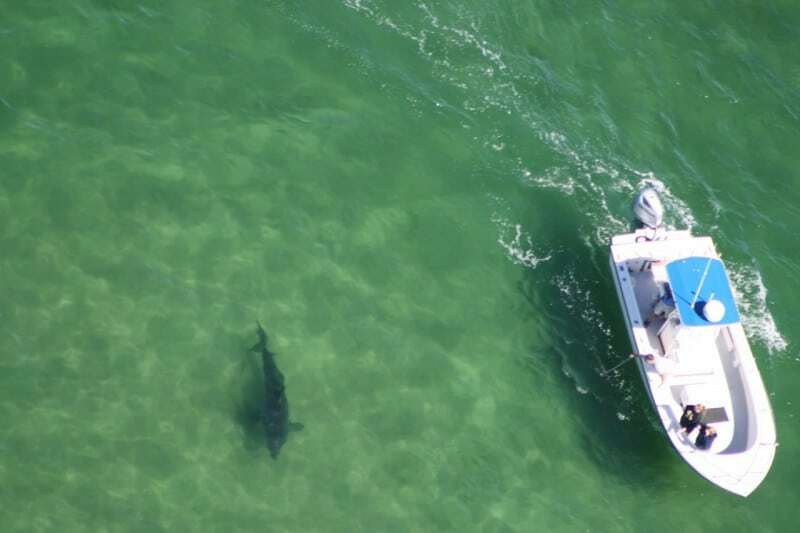 The Outer Cape has some of the most spectacular beaches in the world but, at certain times of the year you are sharing the water with Great Whites. 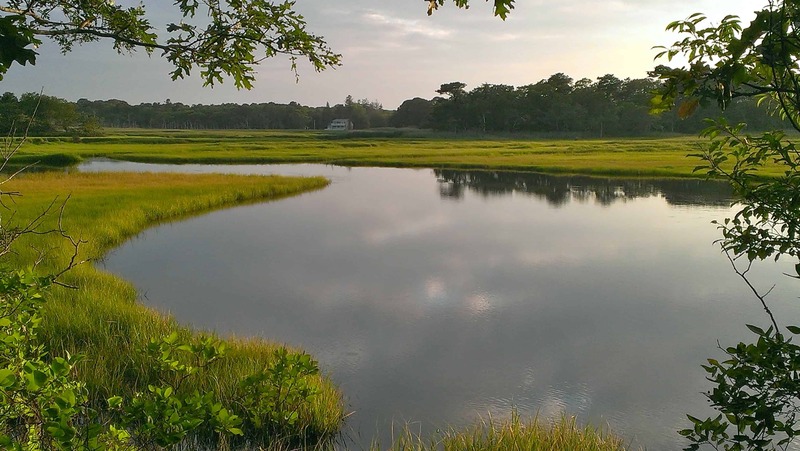 Instead, swim in the warmer waters of the Nantucket Sound or one of the amazing fresh water ponds that dot the Cape. Leave the Outer Cape for walking and dipping your toes in the frigid water. Love Blue Crabs? There are millions in the waters off Cape Cod! Catch them with a baited string or get in the clear water and hunt them down with your net. 5 inches or bigger from point to point? You have a winner! Spend some time in the water, enjoy the scenery, and hopefully catch a bucket full of crabs for dinner. 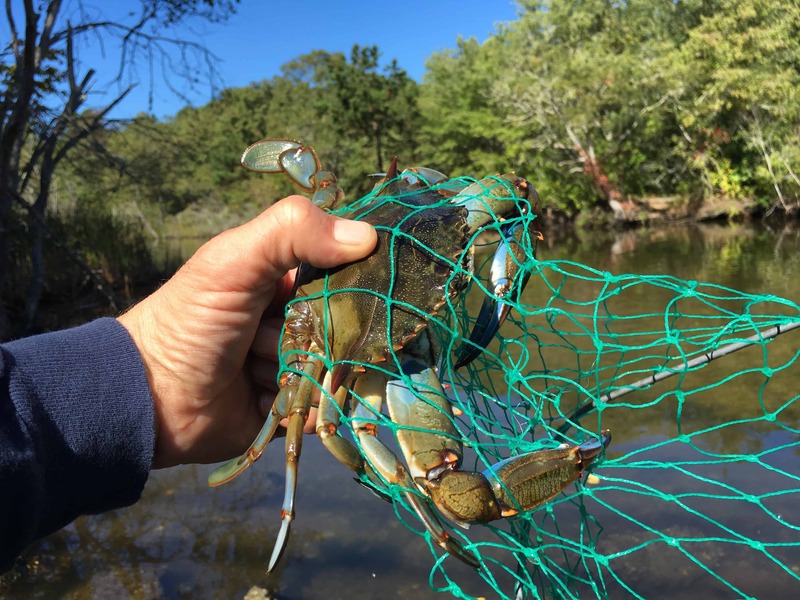 There’s nothing more local than catching your own dinner and guests enjoy the experience of Blue Crabbing on the Cape. Our Concierge supplies guests with all the gear, tide times and the best time to go crabbing, and most importantly…the secret spot for catching these beauties. After a successful day, the Inn has all the tools for you to cook your catch and enjoy living like a local! If you know someone coming to Cape Cod that is looking for great off the beaten path adventures, please share with them! 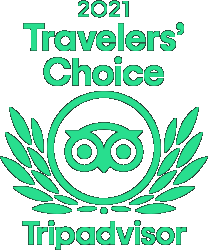 If you are interested in booking an unforgettable vacation to Cape Cod and enjoying the local guide’s knowledge of the best place on Earth, click here for more information. 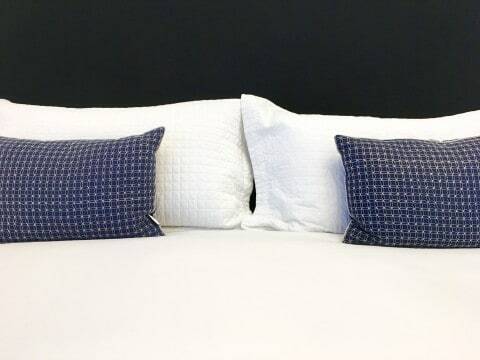 Or, click below to tour the Inn.